Landkit is a high performance, intuitive and easy to use WordPress landing page theme. It uses Hybrid Composer page builder to allow you to handcraft the look and feel of your website in an instant, without ever writing a line of code yourself. Based on Bootstrap, it’s the ideal theme for high traffic usage cases, assuring minimal server loads across the board. 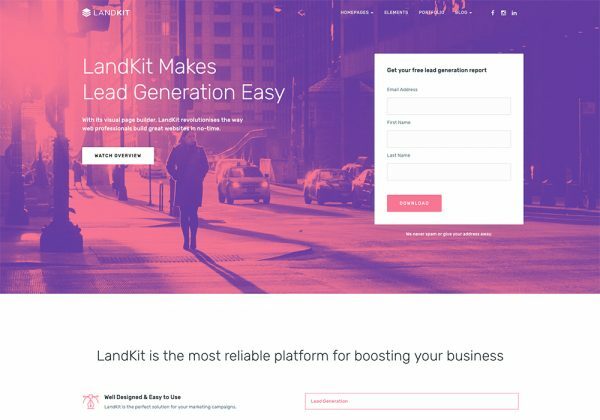 Landkit is perfect for webmasters in need of a landing page website that can effectively channel the traffic generated by marketing campaigns and present the information in an attractive and functional environment.